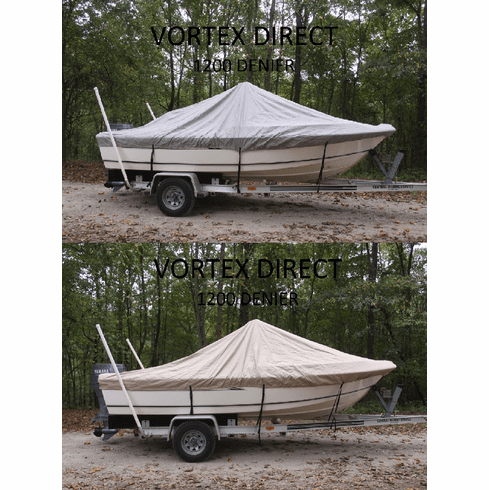 Our covers are suitable for storage / mooring as well as light trailering. 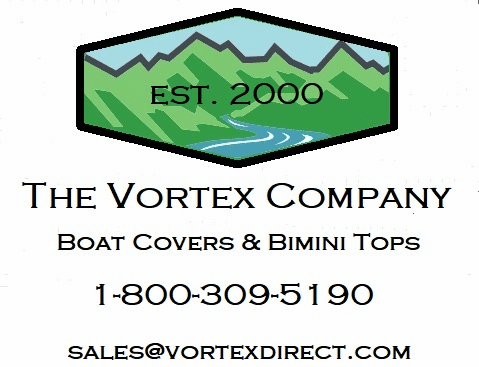 This particular cover will fit center console v hull type boats between 14'7" and 15'6" ft long, with a maximum beam of 90". At a 90" beam, it will cover the entire top including center console, plus about 12" all the way around. It is designed to keep water out but will allow water vapors/moisture to escape helping to prevent mold and mildew. Our covers come with tie down/hold down straps, as well as a storage bag. These also have a drawstring around the bottom, for a snug initial fit. The cover is made from 7.8 oz / 600d / 600 denier solution dyed marine grade polyester canvas. 600d is an indirect measurement of density and weight. The higher the number, the thicker the cover. You will see a lot of 300d, even 150d covers, which are proportionally half as thick and 1/4 as thick as our covers. Our fabric is coated twice with polyurethane on the bottom and UV protected on top. You will need to eliminate any movement of the cover before trailering. That is nearly impossible, and it is generally better not to trailer with this or any cover.